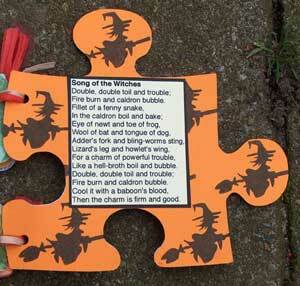 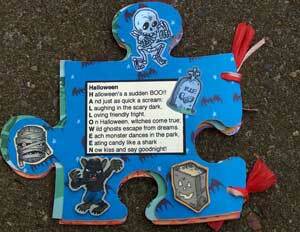 This is my Halloween mini quote book in the shape of a puzzle- piece. 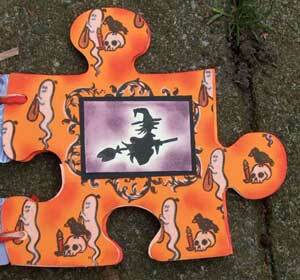 The size of it measures 6 X 6 inches. 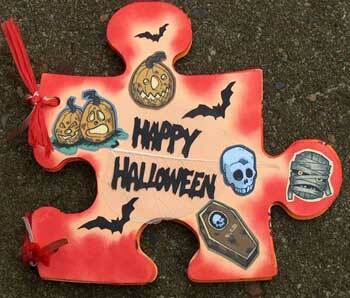 The pieces are partly stamped and partly covered with Halloween pictures. 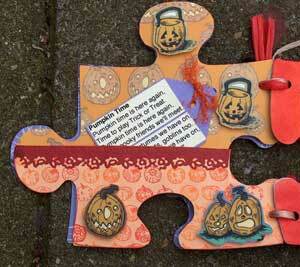 There is also a little pocket, that holds a tag with another Halloween quote named "pumpkin time". 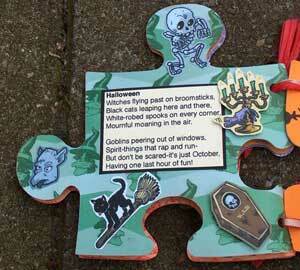 On the front of the little book is a little leaf. 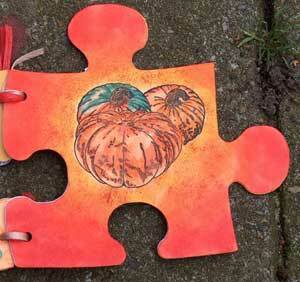 The stamped images are all colored with Aquarel pencils. 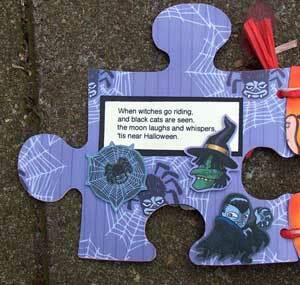 I have put Halloween quotes in this little mini book.